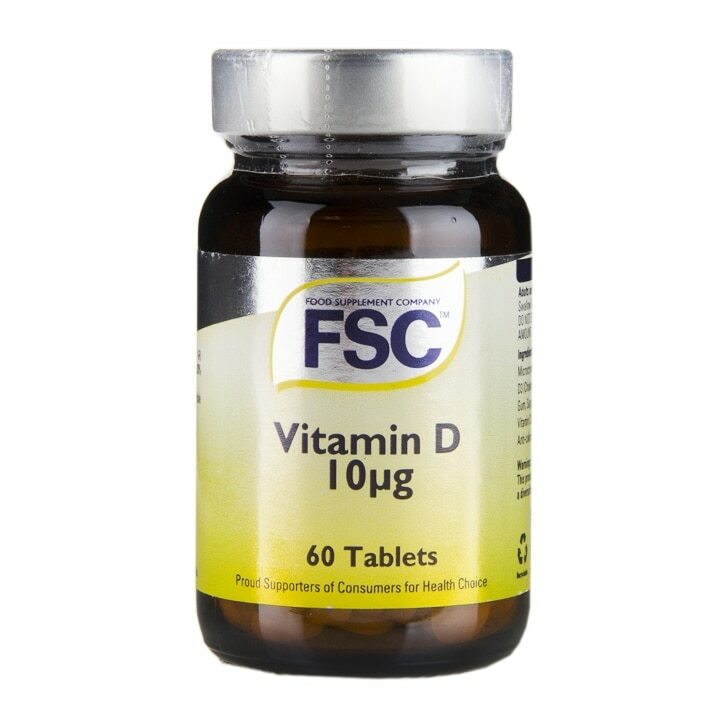 FSC Vitamin D Tablets is rated 5.0 out of 5 by 7. Rated 5 out of 5 by bmwtouring123 from FSC Vitamin D Tablets Great value for money, easy to swallow tablets. Dissolves easily. Rated 5 out of 5 by Do52 from Vitamin D tablets These are exactly what I needed to keep up my vitamin D levels in the winter months. Rated 5 out of 5 by sacha3 from great quality very pleased with this in a handy bottle needed these as pregnant so do come in well came very quickly and was happy with the price ! Rated 5 out of 5 by JAMESY from GOOD QUALITY GOOD ALL ROUND ON LINE ADVICE.GREAT PRICE AND GOOD SPEEDY DELIVERY. WELL WORTH A VISIT! Rated 5 out of 5 by Lush from Vit D This is a great product it helps me so much. I bought enough for the year as I have to tame it daily for my condition. Rated 5 out of 5 by Lamikins from Great Quality I ordered vitaman d3 tables from you and within a couple of days I had received them, so good was the delivery time. The tablets were well packaged and came with notes about the product, which I found helpful. I will re-order from you when I need more as I believe you to be reliable company.